The importance of sidewalk elevators can sometimes be underestimated. Although usually not attractive or easy to use, they allow deliveries to building without having to traverse the lobby and common areas. 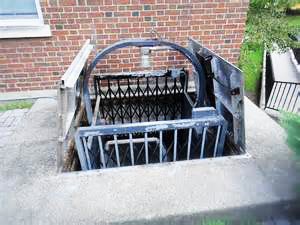 We have experience with a wide variety of sidewalk elevator systems, from basement drum to hydraulic types. Rest assured, we will diagnose and repair your sidewalk elevator, providing the reliable operation you should expect. Contact us to assist you with your sidewalk elevator repair and maintenance.